The Webcams are Ready for Snow! 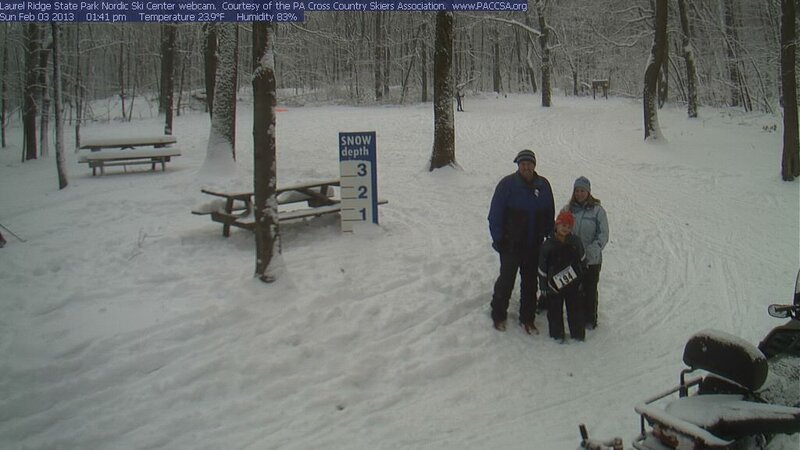 You may have noticed that PACCSA's webcams are ready for the 2015/2016 ski season. The webcam at Laurel Mountain was installed a few weeks ago, and the Laurel Ridge XC Ski Center webcam went active last weekend (just in time for the Laurel Highland's first dusting of snow). Let's hope that we'll be seeing pictures like this in the VERY near future! Your membership fees and donations make PACCSA's webcam program possible. Thank you for your ongoing support!